Whether your next weekend adventure takes you across the country or to the lake, you want to bring the comforts of home on the go. That’s why we offer a total power solution for your RV including batteries, solar kits & parts, inverters & inverter/chargers and all the accessories. And with booking prices available 365 days a year you’ll always get the best value for your buck. Not sure which inverter to select for your RV? Check out our blog, here. A sample of popular part numbers for RV. As Canadians, we love to enjoy the outdoors without limits. From Fenelon Falls to Florida, from Tofino to Tuscon. Wherever your next adventure awaits, whether you are off the grid for a week, or like to watch movies by the lake, we want you to explore and relax without worry. Our mobile RV power solutions are designed to work in the real world, not just on paper or in ideal conditions. We carry the widest range of products you will ever need under one roof and we have you covered from Coast to Coast. Flexible power options for wherever you call home. 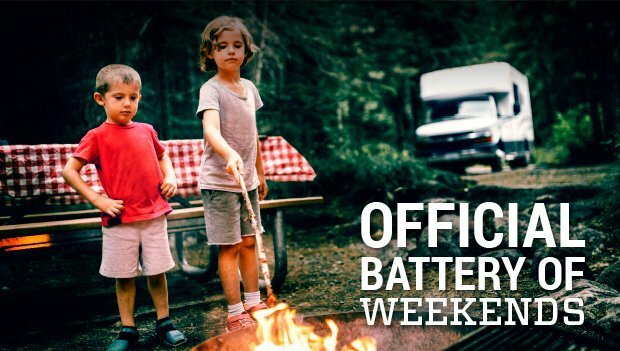 Charge your batteries so you can enjoy nature and all your conveniences. Be sure your batteries are Canada Proof. **Batteries not included in kits. Power at your fingertips when you really need it. Convert DC to AC power by adding an inverter or inverter/charger to your kit.